We recognize that our responsibility goes beyond great taste, and that quality begins at the farm. We strive to use the freshest and most natural ingredients available. Our salad line features fresh local produce, whole grains, and fresh herbs. 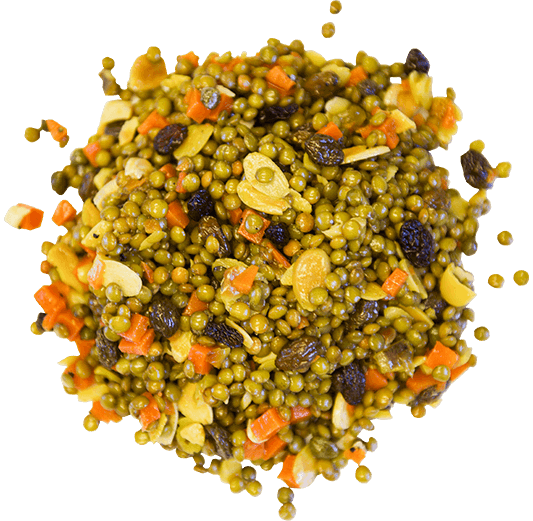 Each batch is made in Michigan in small quantities to ensure quality and flavor. We believe and support sustainable agricultural practices and continue to look for new ways to lessen our carbon footprint. In turn, we hope to make our planet a healthier place. 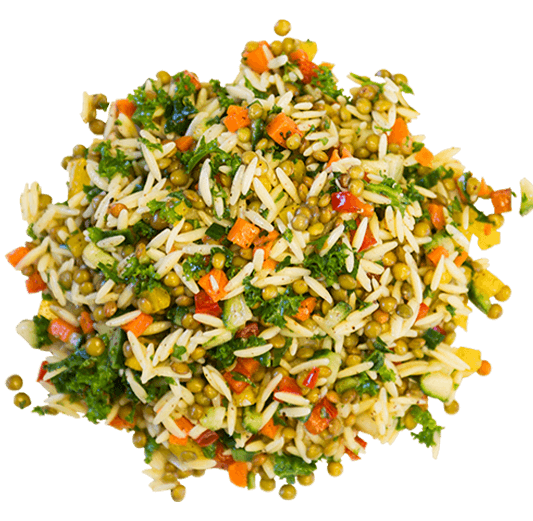 A healthy twist on pasta salad loaded with kale, lentils and colorful veggies tossed in a light lemon dressing. 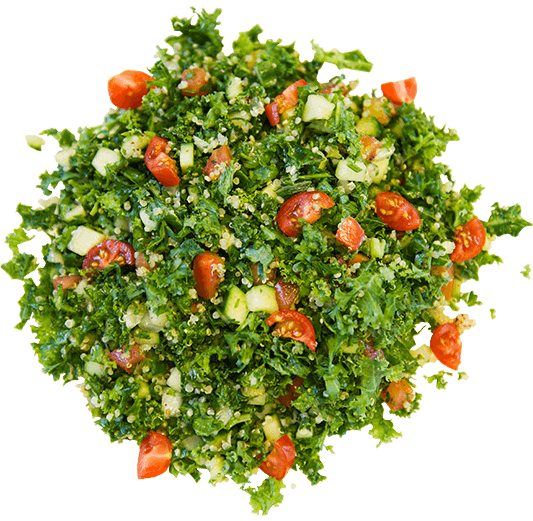 Made with quinoa and kale, this salad is gluten-free and rich with fiber and iron. Kale is a natural antioxidant. A perfect balance of beans, quinoa, kale, lentils and mixed veggies. Our protein packed creation leaves you energized! 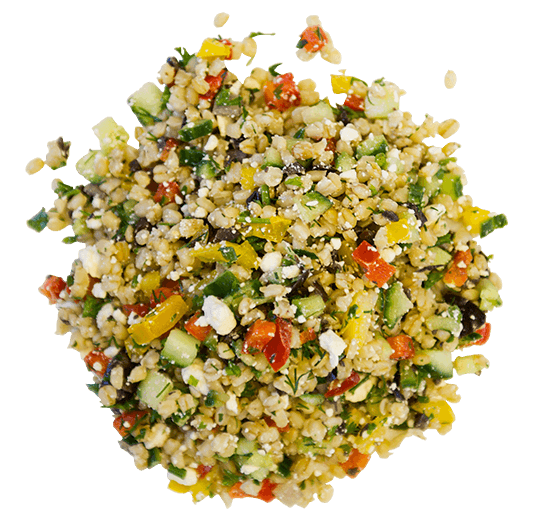 A gluten-free salad with cholesterol- lowering fiber, vitamin B1 and folic acid, providing you tons of energy. 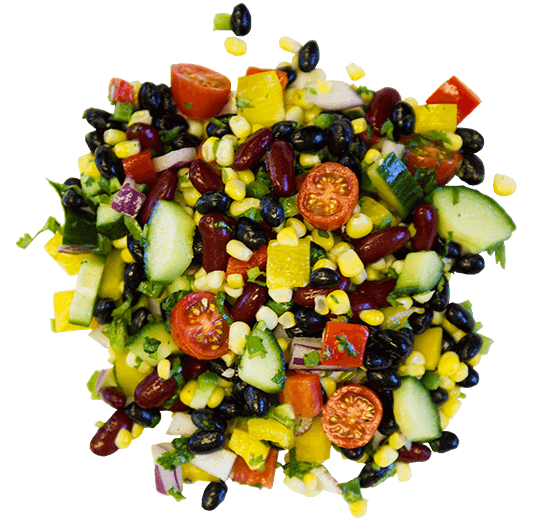 The perfect sweet and spicy salad loaded with garden veggies, sweet corn, fresh cilantro, and a jalapeño kick. 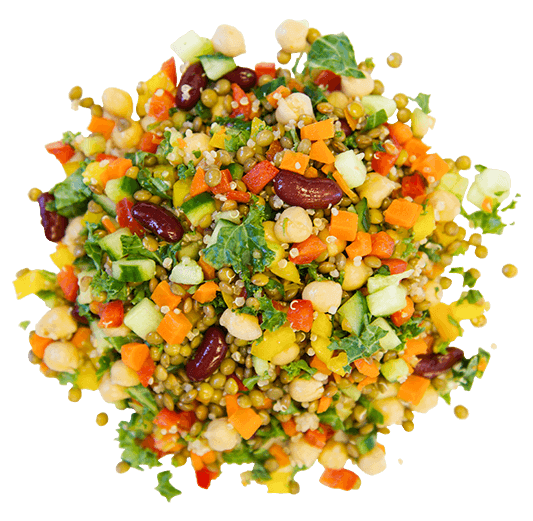 A whole grain salad with a colorful veggie medley and fresh herbs. Barley is cholesterol free and an excellent source of dietary fiber. This ultimate summer salad is mixed with protein rich ingredients, fresh herbs and spicy radishes. 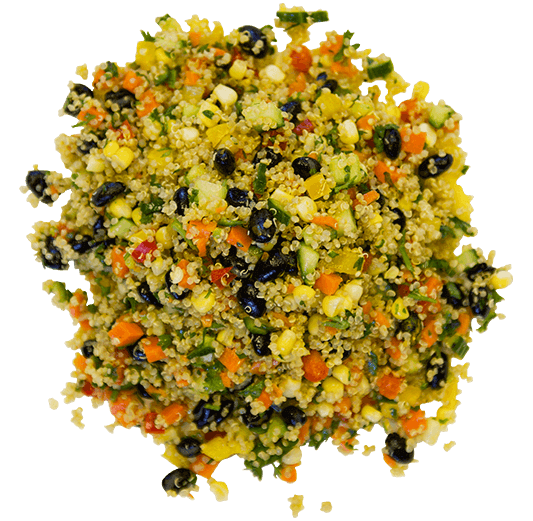 A gluten-free superfood salad rich with fiber and numerous vitamins. 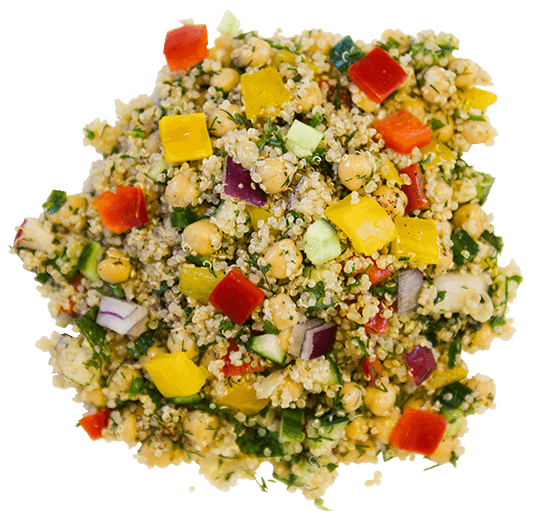 Quinoa is a complete protein.